A company that plays the role of a liaison in the implementation of forex trading transactions between buyers and sellers so as to earn a commission at the end of the deal is called a forex broker. 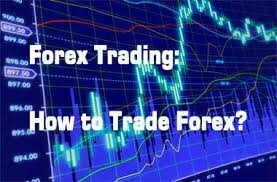 Forex brokers generally offer supporting trading services to traders in the forex industry such as the provision of a trading platform which is equipped with charts and tools for their customers to use. Forex traders can trade the currencies via the trading software or platform provided by a broker. Buyers and sellers are located in different places, so it is not easy to find each other without a system that organizes their trading interest. The forex broker provides a platform where buyers and sellers can interact with each other for the purpose of trading. Forex brokers are generally classified as Dealing Desk (DD) and No Dealing Desk (NDD) Brokers. Another name for Dealing Desk brokers is Market Makers (MM). Straight Through Processing (STP) brokers and Electronic Communication Network (ECN) brokers, are the further divisions of No Dealing Desk brokers. A dealing desk broker provides liquidity and settles the customer’s orders from its inventory. Because it plays the role of the market for a trading customer, a direct dealing broker is also called a Market Maker. A direct dealing broker executes the trading orders by simply matching them with other customers’ orders or from the available inventory. So in every trade, the dealing desk broker is the counterparty. What the Market Maker brokers do is to offer bid and ask prices or quotes by adding the spread in the form of extra pips to the interbank quotes. The dealing desk brokers earn their money by taking the advantage of spread and usually offer fixed spread. There is a tough competition between the brokers and this makes their quotes very similar to the inter-bank quotes, with just a little difference. No Dealing Desk (NDD) Brokers employ a direct approach to the interbank currency trading market. A no dealing desk broker is the counterparty in no transaction while connecting the traders or liquidity providers for the purpose of trading. There are two types of no dealing desk brokers which include Straight through Processing (STP) brokers and Electronic Communication Network, (ECN) brokers. The straight through processing broker operates by directly forwarding the trading order to a number of liquidity providers (interbank market) that have various quote rates for the trading transaction. The broker’s platform performs a trading transaction after sorting out the most favorable rate for the trader from the available quotes. How the broker makes a profit is by adding the markup to the spread. Unlike the STP brokers, the ECN brokers do not pass on the trading order of the traders directly to liquidity providers. Instead, they allow the traders to directly interact with other traders in the market by using the electronic communication network in order to obtain the best trading quotes. However, in order to create enough market liquidity, interbank liquidity providers are always included in the ECN engine. So the ECN brokers match the trade for their clients with other market traders or liquidity providers (as it is the case with STP) and charge a fixed fee or commission on each transaction. There are lower spreads here than there are in the case of the STP trading accounts. Those brokers which directly convey orders to the liquidity providers or to the real market are described as A-booking (NDD Model) and when the client’s trading orders are managed internally, it is described as B-booking (Dealing Desk – market making). The hybrid model is usually used as a tool for managing the risk of trading through traders’ classification. The model used to serve as a buffer tool by placing some traders in A-Book and placing the others on B-Book so as to minimize the risk and reduce the profit of brokers.